Dr. Crygor, as he appears in WarioWare Gold. “My labor of mechanical love is finally complete! Dr. Crygor is a 103-year-old mad scientist featured in the WarioWare series who performs wacky and mostly harmless experiments on his private island laboratory in Diamond City. He is also a cyborg, whose robotic components include a visor with a glowing, red eye, metal hands, a metal plate on his head, and metal legs. As of yet, it is never explained why Crygor has these robotic replacements. His name comes from the term "cryogenics" and the name "Igor," likely in reference to the character from Universal's Frankenstein films. In addition to being a scientist, Dr. Crygor is a WarioWare, Inc. employee. As such, he frequently appears as one of the stage or mode hosts in the WarioWare games. Dr. Crygor feels the effects of the blue liquid. Dr. Crygor can be seen in the intro of WarioWare, Inc.: Mega Microgame$!, where he is called by Wario to join his company WarioWare, Inc. and to produce microgames for his upcoming game. Like Wario's other friends in Diamond City, Dr. Crygor agrees. In his own stage, Dr. Crygor is in his laboratory dancing. After finishing off his dance, the mad scientist reaches for something to drink and ends up grabbing a beaker filled with a blue liquid. He drinks it, and suddenly comes down with food poisoning. He quickly runs for the restroom, shaking all the while. Once finished, the toilet explodes behind him, flooding his lab. Dr. Crygor attempts to swim away, but is sent rocketing into the sky. He tries to activate his jetpack, but it doesn't work, and he begins falling to the ground. Luckily, Don the Sparrow catches Dr. Crygor and flies him to safety. In the ending of the game, he accidentally hits Wario's rocket and makes it crash into the harbor. He and Wario paddle the rocket to safety. Dr. Crygor and his new robot in WarioWare: Twisted! In the intro of WarioWare: Twisted!, Dr. Crygor is called upon by Wario to help fix his broken Game Boy Advance. Crygor throws the system into his latest invention, the Gravitator, which spews out hundreds of smaller systems. Wario grabs one of these, only to find that it lacks any buttons. Dr. Crygor instructs him to try tilting the system, and Wario does, allowing him to pass one of his games with ease. After showing it to Mona and 9-Volt, both of which enjoy the tilting controls, Wario gets the idea to sell the system to make a huge profit. In his own stage, Dr. Crygor excitedly dances around his lab to celebrate the completion of his newest invention, the Gravitator. Suddenly the machine spews out bubbles, which trap Crygor and many of his possessions. After escaping the bubble, the scientists claims to be a genius and immediately fires up the machine. Suddenly, the Gravitator bursts open, revealing a giant robot. Dr. Crygor jumps into the robot and flies off in it. However, while flying, Shuriken the Falcon rams into the robot, causing it to fall apart, to reveal him riding atop a mechanical duck. Dr. Crygor seems doomed until Shuriken returns to rescue him. Dr. Crygor appears once again in WarioWare: Touched!, this time showing off his "Tri-phonic Undulating Nanobot Automaton", or TUNA, a machine capable of making objects become younger. Crygor tests his invention on an apple core, which is transformed back into a full apple. The scientist jumps into the machine to see the apple, but the hatch closes trapping him inside. When he escapes he becomes younger and more fit. Using his jet-pack, he flies into space where he is then seen with a group of Alien Bunnies. Later on, in the story segment of Mike, Dr. Crygor has just finished building a karaoke robot and naming him Mike. When this robot becomes operational, he announces that he is going out, and asks Mike to do some cleaning around the lab. While his master is gone, Mike's original karaoke programming is triggered by blowing a pile of dust off a windowsill, and overrides his cleaning software, making him blast out of the lab and into space to host a karaoke party on a far away planet, and lands on the planet of the Alien Bunnies. Soon, Dr Crygor, having realised that Mike had gone missing, he hitches a taxi courtesy of Dribble and Spitz, and finds out where Mike had been. When they get home, Dr. Crygor suggests that they should sing a duet, but Mike isn't impressed with his singing and, following an argument, Mike leaves again for the Hawt House. This is the first game where the left half of Crygor's head is also covered by a metal plate. Mike and Dr. Crygor with the Kelorometer. In WarioWare: Smooth Moves, Dr. Crygor is shown to have a granddaughter, a young inventor named Penny. In her stage, she attends a competition called the "Invent-Off" at Diamond Academy and is put against her grandfather to see who is the best inventor. After what appears to be a mental fight between the two, Penny pulls out her winning invention (a motorcycle) out of thin air, surprising Dr. Crygor. After defeating her grandfather, Penny sings a song to the cheering crowd. Later, Dr. Crygor stars in his own stage. Here he reveals his latest invention, a large machine known as the Kelorometer, capable of slimming down anything put into it. After completing twenty microgames, the player's Mii is slimmed down and their performance is graded. Dr. Crygor with his latest invention, the Super MakerMatic 21. In WarioWare: D.I.Y., Dr. Crygor appears in the introduction scene, where he is in his laboratory playing video games on his Wii. Suddenly, the game's characters start swarming out of the TV screen to attack him, until it turns out that he was having a bad dream. This weird dream then gives him an idea for a new invention, and eventually he builds the Super MakerMatic 21, a machine that has the ability to create microgames, records and four-page black and white comics in a near instant. Deep in his laboratory, Dr. Crygor and his granddaughter, Penny, are busy building more Super MakerMatic 21 machines, when Wario comes in with a broken television, asking him if he could fix it. Wario sees the new machines on the conveyor belt, asking what those are. Dr. Crygor explains to Wario about the machines' functions, giving Wario some ideas on making money with his new invention. Although Dr. Crygor does not have a microgame stage of his own in this game, the player can enter his laboratory after it has been unlocked and create their own microgames, music records and comics using his invention. Dr. Crygor also appears in Game & Wario, where he hosts the Design minigame. In the minigame's introduction, he is seen getting up from his bed in his laboratory, and going to his toilet (which has a shower installed on it). He has trouble getting off of the toilet and ends up inside it, moving through pipes until he reaches another room. In the minigame, the player must draw lines and shapes of certain sizes in order to build a robot. Dr. Crygor gives the player instructions throughout the minigame. He is also in the Bowling minigame, depicted on a pin like most other characters in the game. Dr. Crygor and Mike encountering Doris 1. Dr. Crygor returns in WarioWare Gold, hosting the second set of the Twist League. In his story, he and Mike are stuck in the "paranormal" Agate Forest when they run into a robot named Doris 1. Doris 1 recognizes Dr. Crygor as her creator, who abandoned her for reasons undisclosed, and proceeds to chase him. Later, after the confusion is cleared, Dr. Crygor takes in Doris 1 out of generosity, and Doris 1 contradicts Mike's claims that there is no paranormal activity, claiming that it walked right through her. Dr. Crygor then realizes that he dropped the fungi in the forest, and asks Mike to go back there, but he refuses. Dr. Crygor also appears in Penny's stage. Penny tests the Tonally Transformative Elixir on Dr. Crygor, only for him to have extreme stomach pain. To cure this, Penny whips out her Super-Special Tummy Tonic to cure the pain in his stomach. Eventually, the pain is counteracted, and Dr. Crygor then asks when the elixir's effects will wear off, as Penny giggles nervously. During the Dancing Team set of the Ultra League, Dr. Crygor arrives with Mona, Jimmy T., Mike, Fronk, Young Cricket and Master Mantis, Kat and Ana, and Penny to assist Joe in filling up his new nightclub, Club Joe. He unintentionally drives off almost everyone in the club with his dance moves. He is then seen dancing with the rest of the group after everyone comes back. Crygor's appearance in the Freeze Frame remake. Dr. Crygor makes several appearances in the Wario... Where? challenge set of Rhythm Heaven Megamix. He first appears in the background alongside Penny in the set's version of Fillbots 2, which now features Mike as one of the models of robots being filled with liquid. He later stars as the player character in the set's version of Freeze Frame, which has him taking photos of racing Tiny Warios and Dribble and Spitz. Dr. Crygor appears as a Sticker in Super Smash Bros. Brawl, and as a trophy in Super Smash Bros. for Wii U. The trophy's description state "Rumor has it he's even working on a time machine. "; this is a reference to the "diary" section of the Japanese WarioWare, Inc.: Mega Microgame$! official site, which has a page where Dr. Crygor writes down his progress on building a time machine  Dr. Crygor also appears in Super Smash Bros. Ultimate as a Spirit. Dr. Crygor has his own set of microgames in each of the WarioWare titles, with the exception of WarioWare D.I.Y. and Warioware: Smooth Moves. In WarioWare, Inc.: Mega Microgame$!, Crygor's collection is of the Reality genre, which means that sprites or backgrounds used in his games are ripped from photographs. His games include putting a cat to sleep and defending a fish from predators. In WarioWare: Twisted!, Dr. Crygor's games involve changing the direction of gravity by tilting the Game Boy Advance system in the stage The Gravitator. Here his games include making doors open and flipping a man upside down. WarioWare: Touched! has players spinning the stylus in circles to complete Dr. Crygor's microgame selection, entitled Slightly Unscrewed. 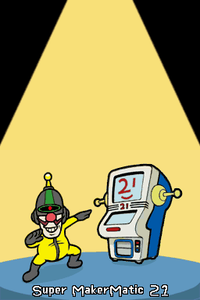 In WarioWare: Smooth Moves!, Dr. Crygor's stage involves completing microgames taken from other characters' stages to slim down the player's Mii with the Kelorometer. In WarioWare Gold, his games are part of the Twist League and have the Sports theme. I am Dr. Crygor, the genius scholar. The others have said a "dangerous" scholar, but I pay no mind to their opinions. My laboratory is set up to further my experiments in reality games. Feel free to stop by and contribute to my research. It is quite fun. Did you know that I was the one who created Wario's car? What? You do not know? Do your research! Diamond City's resident mad scientist is on permanent spin cycle. You can even whirl a planet into a black hole. Won't that look cool on your resume? This odd genius lives in seclusion. He built Wario's bike, Mona's moped, Kat's sword, and Jimmy's cell phone. He wears a cryogenic suit that doesn't protect his head. Rank C – Dr. Crygor has reenginereered many things—including himself! He might not look it, but he's over 100 years old. Rank B – Dr. Crygor might be a bit eccentric, but he's very smart. He's built tools and robots for his friends. Dr. Crygor This technological genius (or perhaps mad scientist would be more accurate) has created many interesting inventions. Besides the life-support suit that Crygor himself wears, he's also made vehicles, such as the Wario Car. Rumor has it he's even working on a time machine. Quite the valuable employee of WarioWare, Inc. The music in Dr. Crygor's epilogue in WarioWare, Inc.: Mega Microgame$! is the hurry up music from Wario Land 4. ↑ NintendoRU. (November 8, 2018). WarioWare Gold — трейлер Пенни и доктора Крайгора (Nintendo 3DS). Retrieved November 8, 2018. This page was last edited on April 21, 2019, at 20:17.